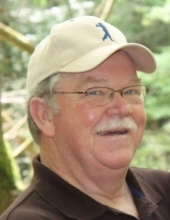 David Sturgill, age 70, of Pounding Mill, VA passed away Monday, January 21, 2019 at Clinch Valley Medical Center. He was born April 20, 1948 in Slab Fork, West Virginia. David graduated from Sophia High School. He was a retired coal miner from Consol Buchanan # 1 mine and was a member of the UMWA. He was a member of Cedar Bluff Community Church. David had a heart for helping others. He loved his family. He enjoyed working at the church, woodworking, and singing. David was preceded in death by his parents, Claudis and Thelma Adams Sturgill; and one sister, Brenda Sturgill Bales. He is survived by his loving wife of 42 years, Sharon Dunford Sturgill; two sons, Brian David Sturgill and wife Vanessa of Hebron, KY and Brandon Lee Sturgill of Roanoke, VA; three grandsons, Tanner Sturgill, Tucker Sturgill, and Noah Sturgill; one brother, Claude Sturgill and wife Susan of North Wilkesboro, NC; one sister, Beulah “Tuddy” Peak and husband Robert “Duke” of Vermillion, OH; several nieces and nephews also survive. The family will receive friends from 6-9 p.m. Thursday, January 24, 2019 at Singleton Funeral Service in Cedar Bluff, VA.
Funeral Services will be conducted at 11 a.m. Friday, January 25 at the Singleton Funeral Service Chapel with Pastor Richard Smith officiating. A Committal Service will be held at 3 p.m. Friday at the Blue Ridge Memorial Gardens Cemetery in Beckley, WV. Pallbearers will be Bud Durham, Johnny Lester, Bennie Stiltner, Darrell Meade, Curt Salyers, Jim Maggard, and Ralph Street. In lieu of flowers, donations may be made to the Good Samaritan Food Pantry, 106 Veterans Drive, Richlands, VA 24641. The family of David Sturgill is in the care of Singleton Funeral Service in Cedar Bluff, VA.
To send flowers or a remembrance gift to the family of David Edward Sturgill, please visit our Tribute Store. "Email Address" would like to share the life celebration of David Edward Sturgill. Click on the "link" to go to share a favorite memory or leave a condolence message for the family.